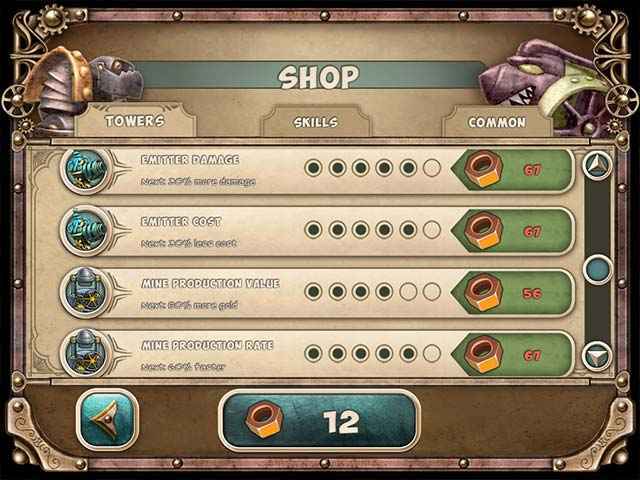 Free Download Iron Heart 2: Underground Army Game or Get Full Unlimited Game Version! Humanity's days are numbered in this amazing sequel to Iron Heart: Steam Tower! Use your tower defense mastery to crush the steel legions before it's too late! In order to get advantaged of playing Iron Heart 2: Underground Army full unlimiteg game version you must register the game. The mechanical invaders are approaching the surface, and they're stronger than ever. 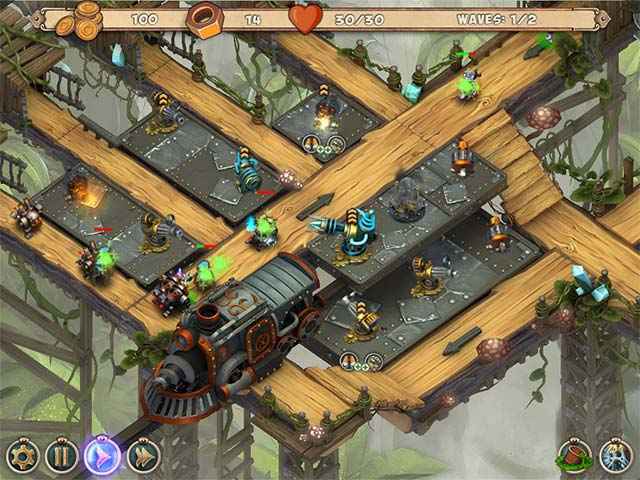 Iron Heart 2: Underground Army is the long-awaited sequel to our popular tower defense game! The fierce resistance is gaining momentum. The steam robots, driven by the call of the iron heart, have swarmed into underground tunnels and are just about to break through our defenses. Only your strategic talents can put an end to their iron army! Each level is a foray into the depths of the planet in search of the mythical Iron Heart, capable of destroying the invaders forever. But the road to victory is anything but easy! Steel hounds, spider mines and electric scorpions â€“ these are just a few of the threats hanging over humanity! Fight on the streets of an underground paradise and in the halls of the Iron Heart. Will humanity be victorious, or banished forever? It all depends on you! Use a powerful Slime Army to defeat the invading monsters and bring the peace back to the Slime world in this fun Match 3 game! Help Alex navigate a bustling urban landscape as she tries to reunite her band and convince them to enter the upcoming "Battle of the Bands"! Save the kingdom by casting down itâ€™s evil dictator in this imaginative hidden object game set in a steampunk world.